"Besotted" Too gives you an additional fifteen unique background papers to design with when creating your cards, mini albums and scrapbook layouts. Don't think of just one creation with this kit....think lots!! 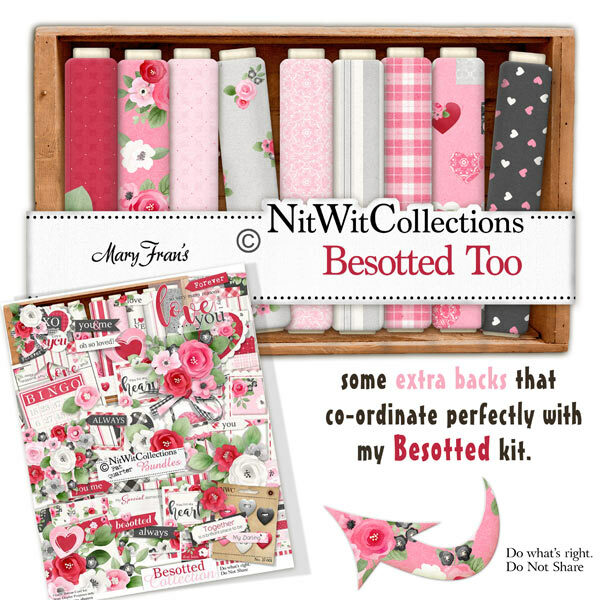 These background papers are NOT included in the FQB "Besotted" Collection! 15 Digital background papers that coordinate and colour match my FQB "Besotted" Collection.